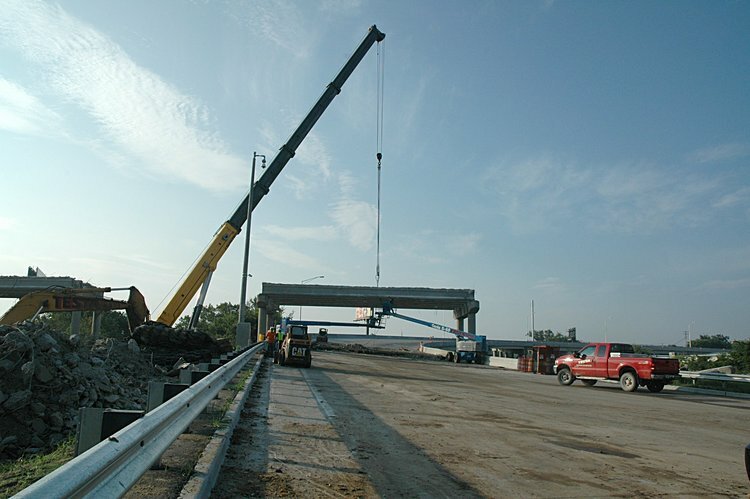 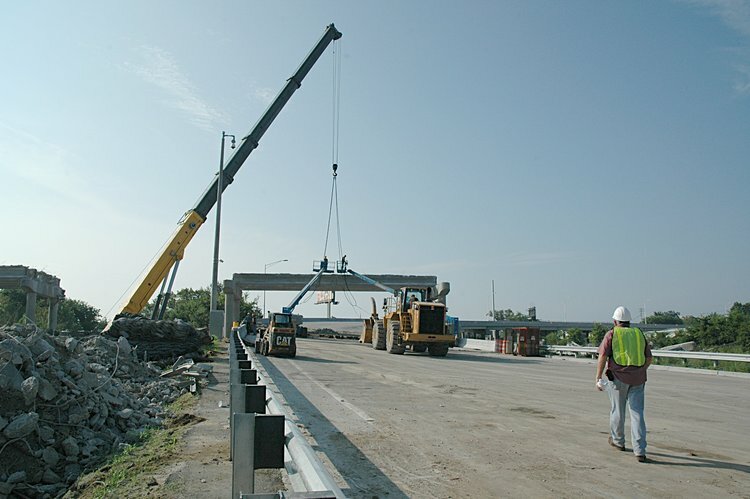 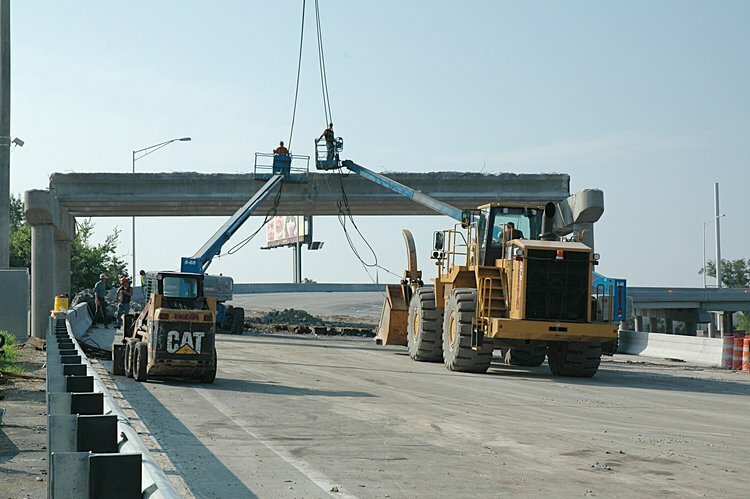 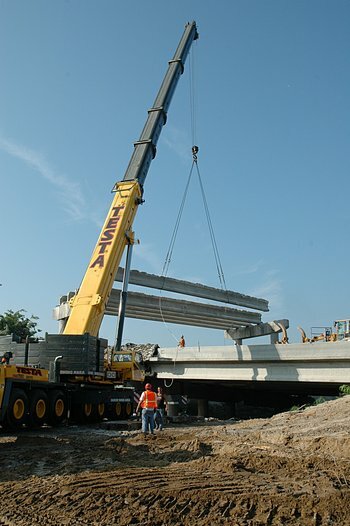 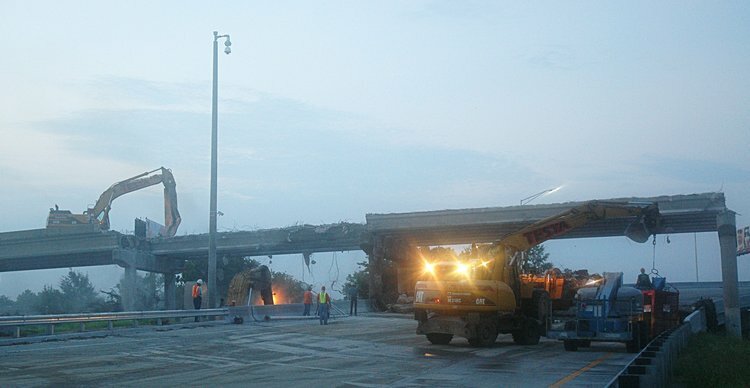 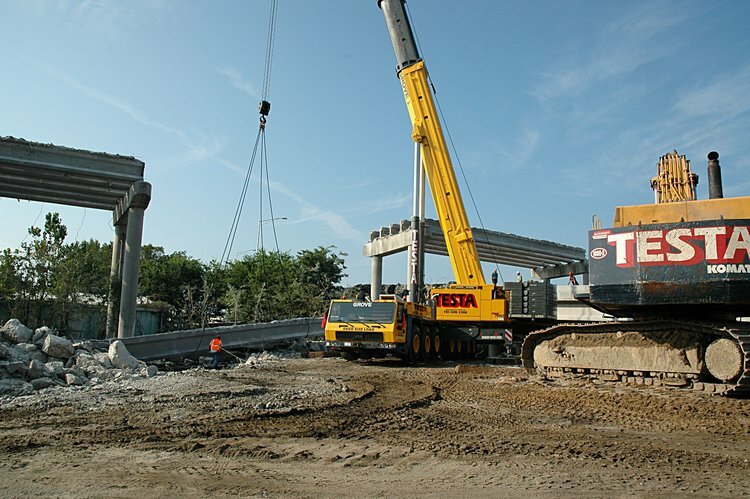 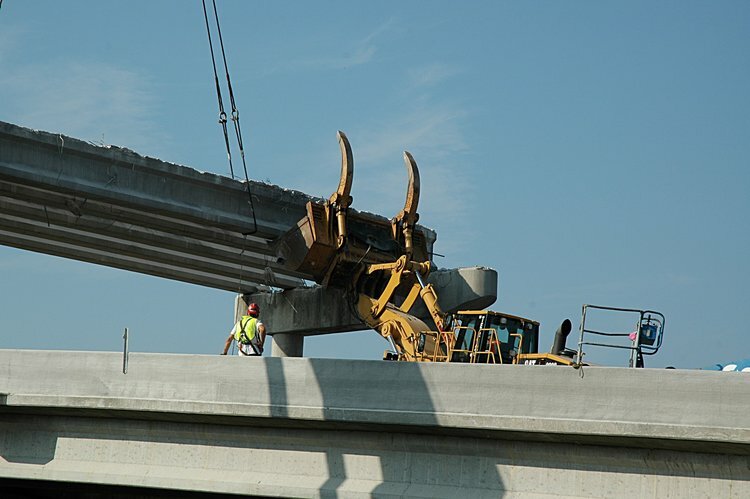 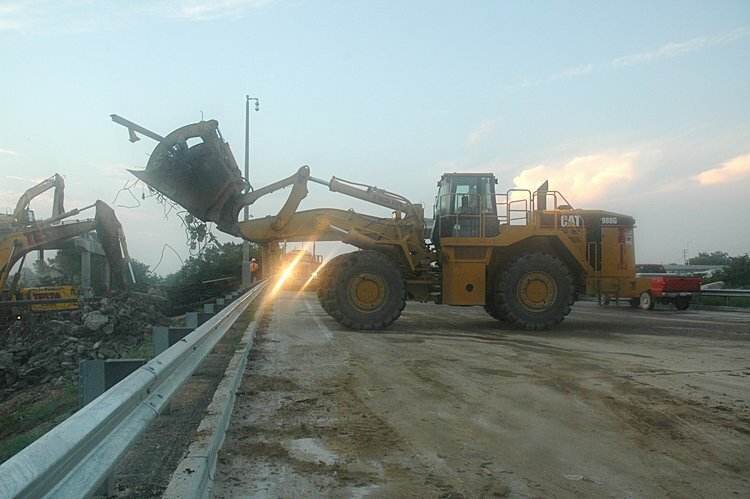 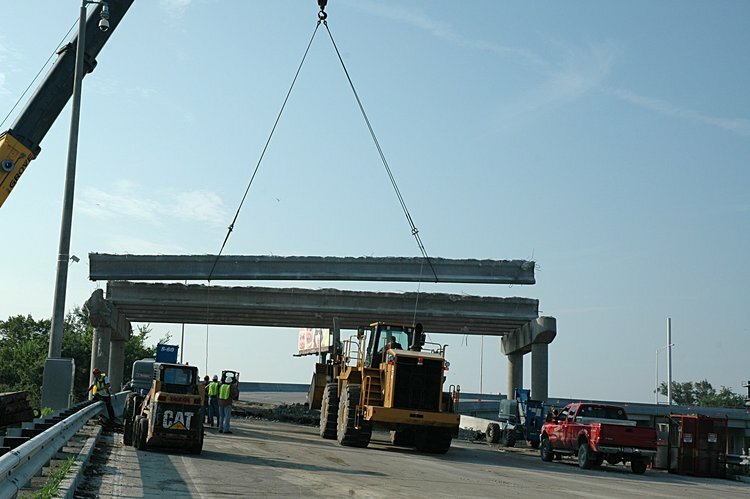 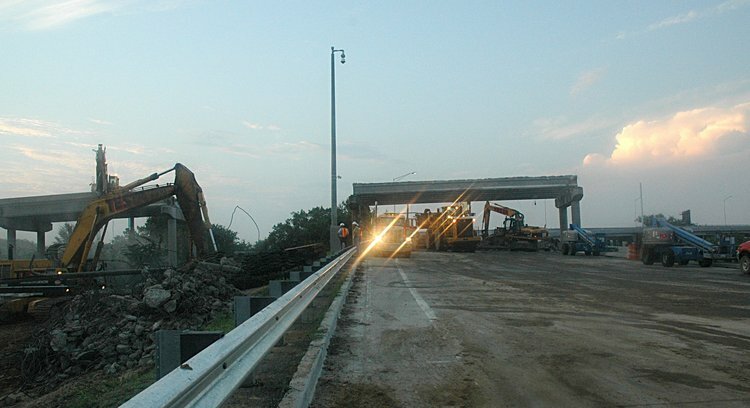 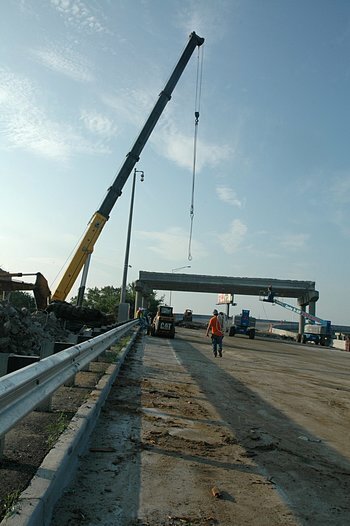 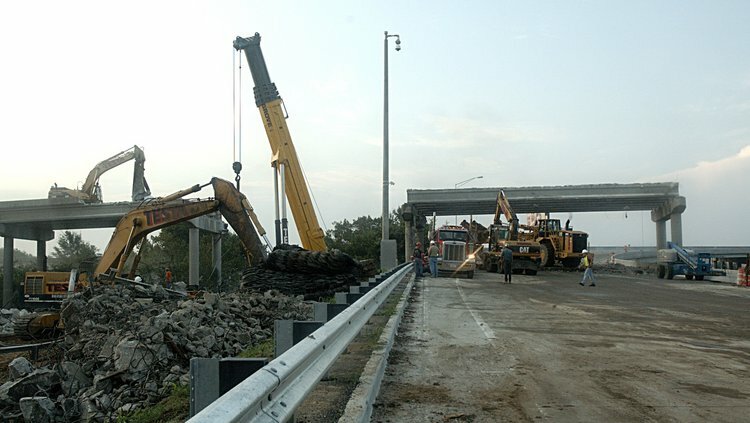 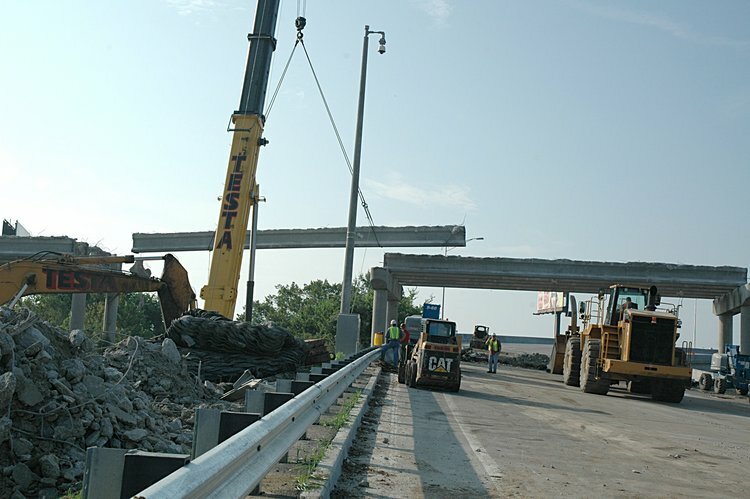 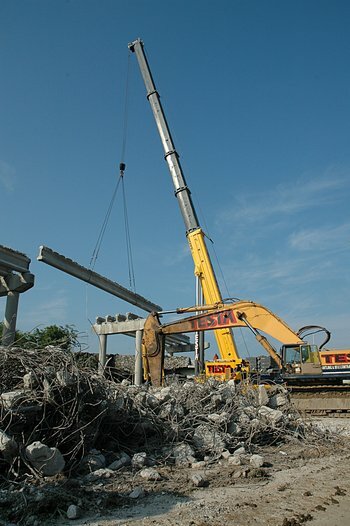 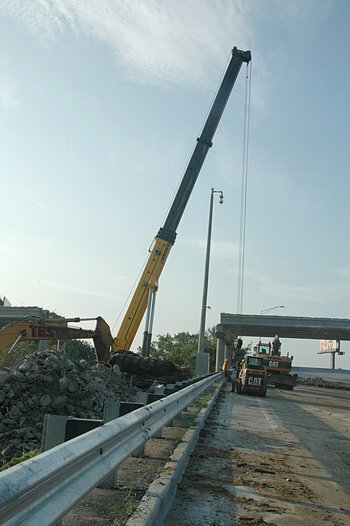 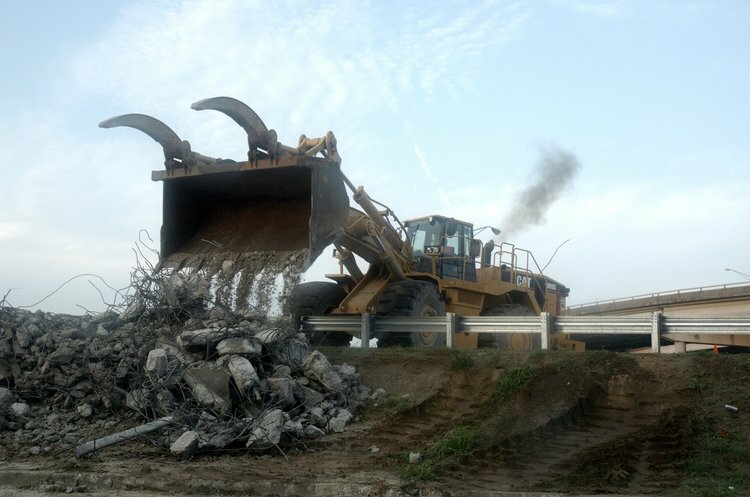 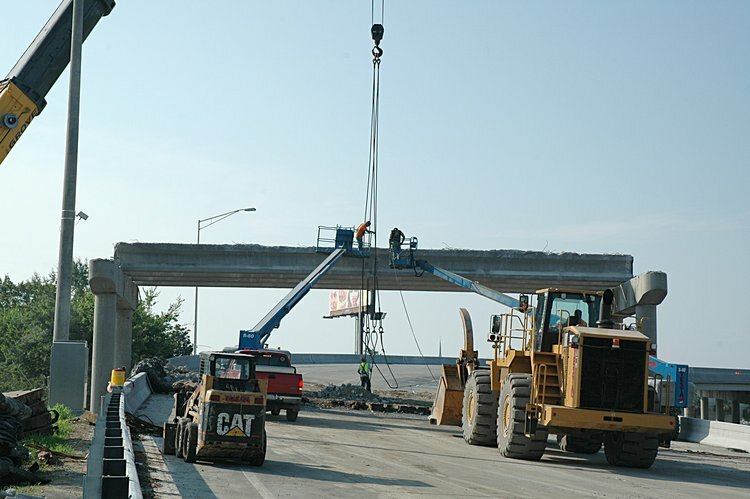 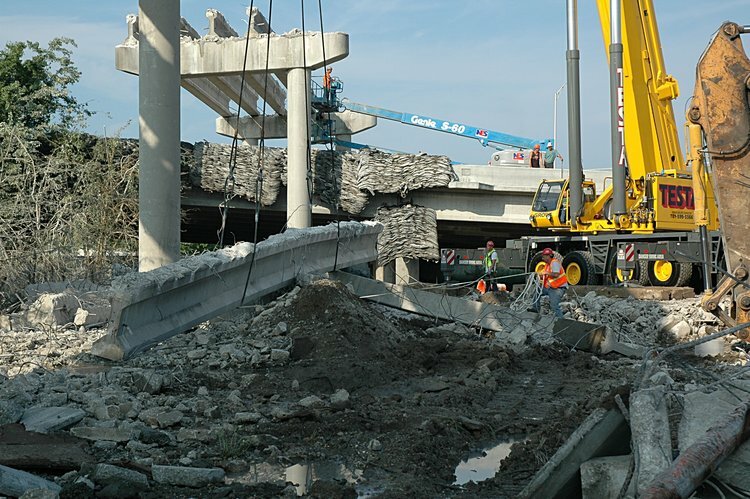 The Testa-Cashman guys were at it all night - and when I arrived about 6am the removal of the floor girders on the piers east of the I26 overpass was almost complete. 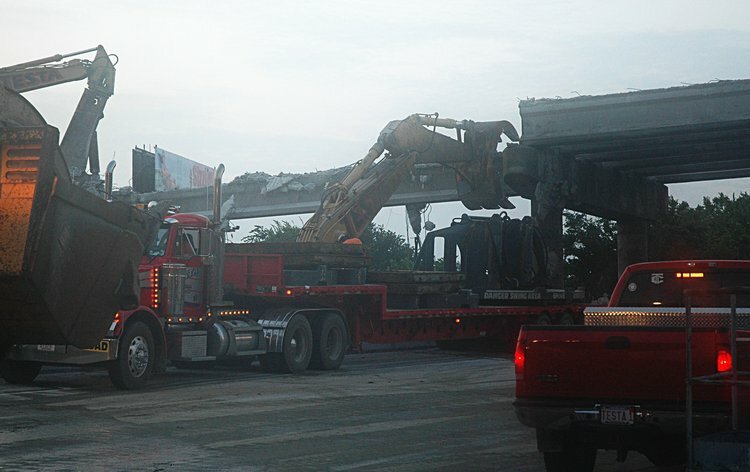 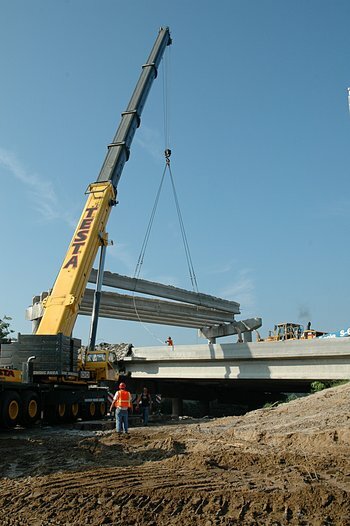 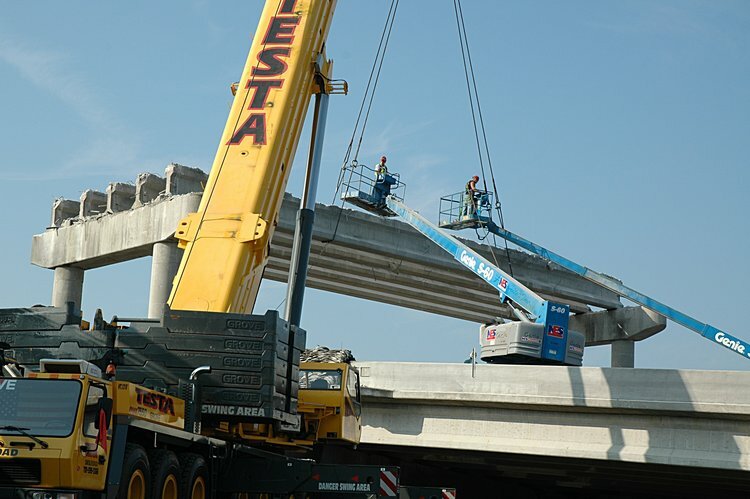 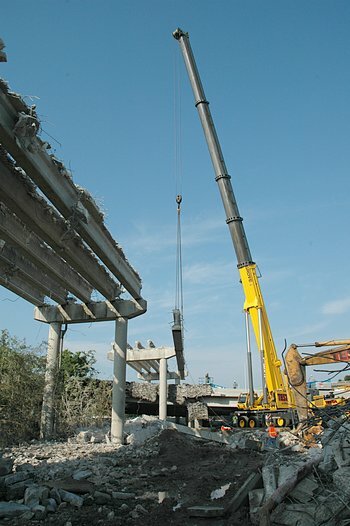 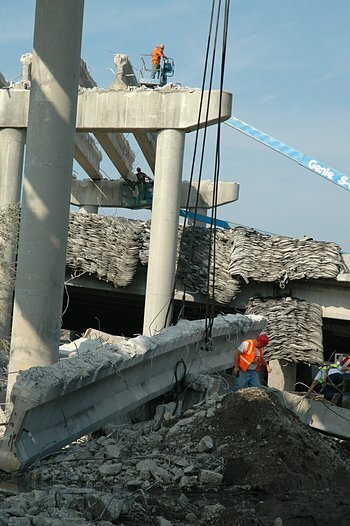 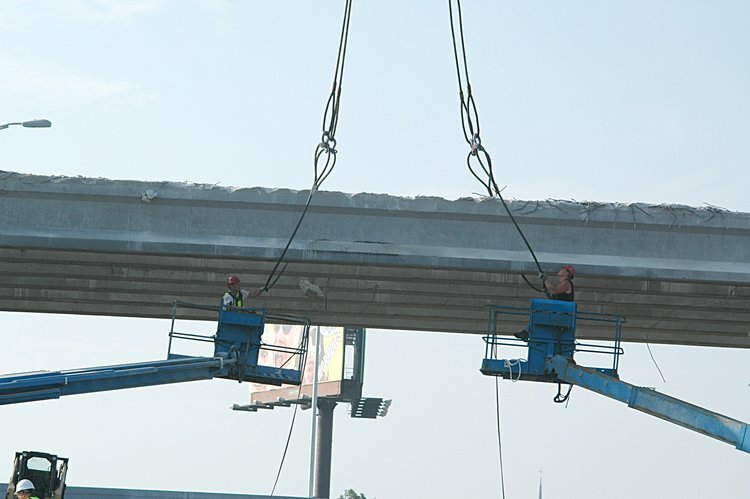 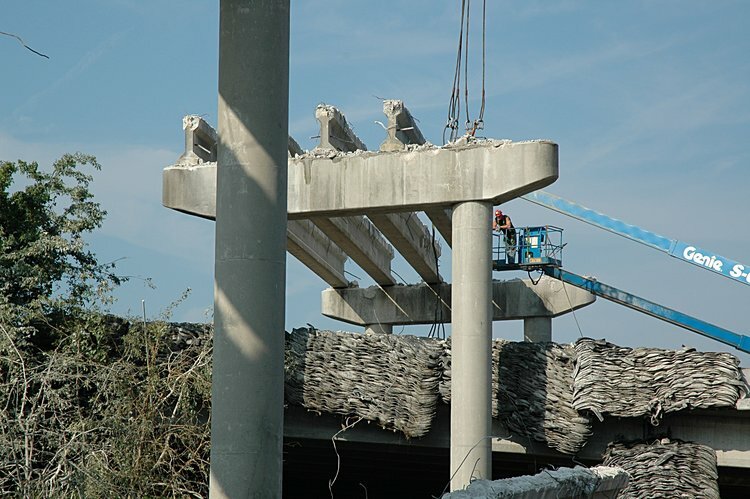 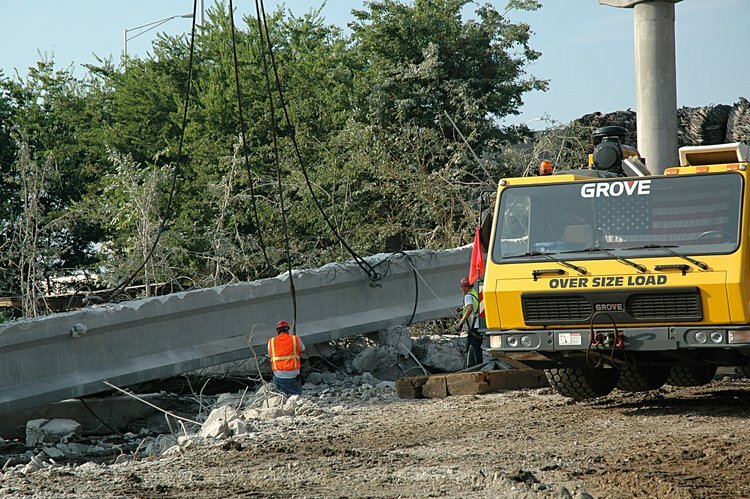 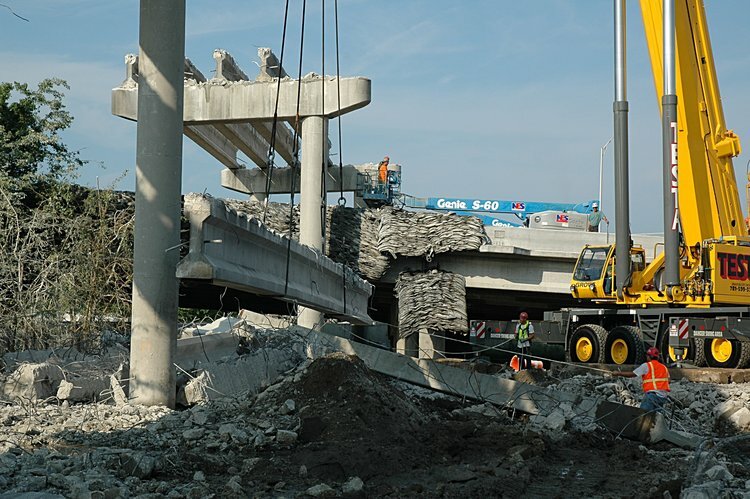 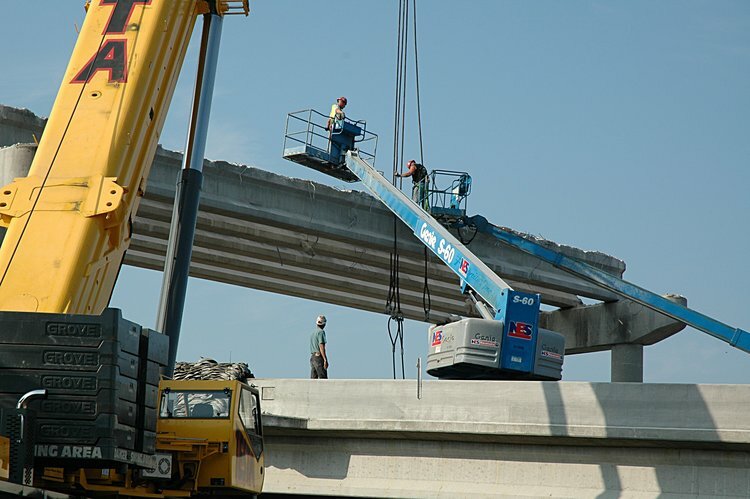 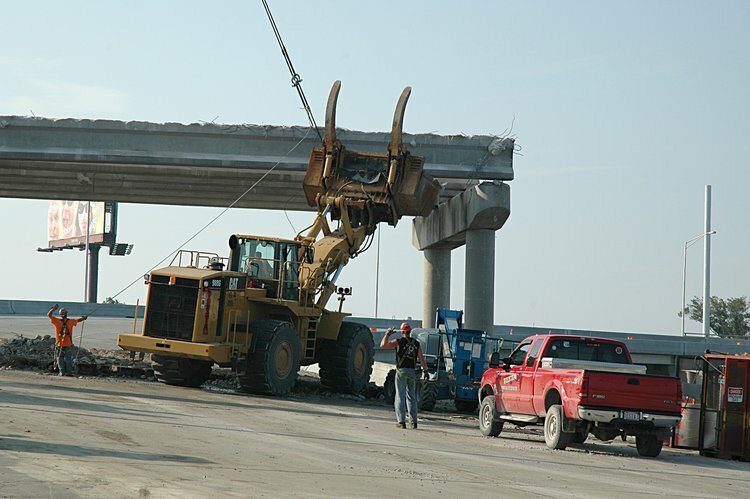 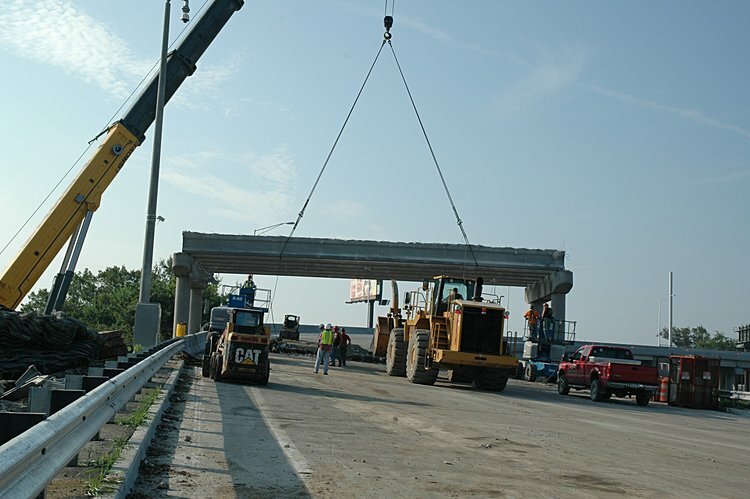 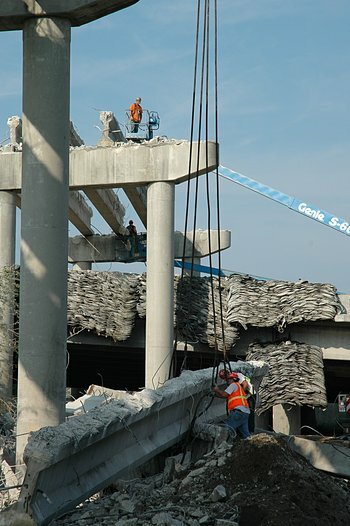 Here is the story of overpass girder removal: lifting compared with the Friday night removal by gentle lowering of the girders. 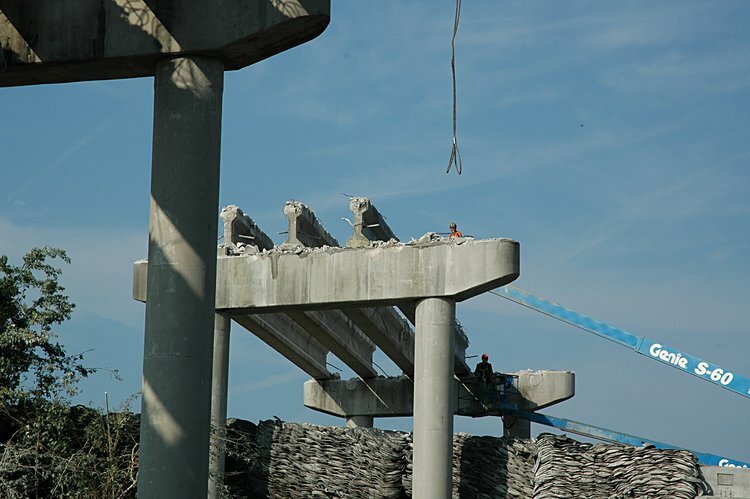 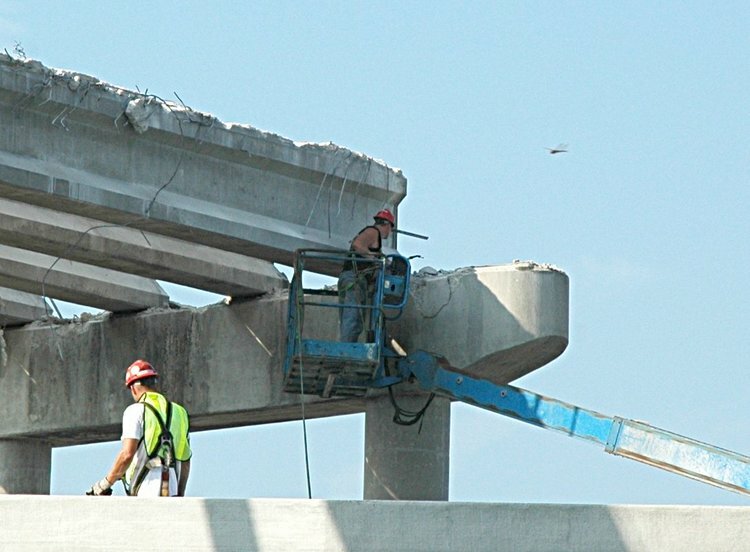 After all the east girder were removed - here is the I-26 overpass.